Raw deal: fresh unpasteurised milk sales means more money for farmers, but is it safe? Selling raw milk can be a way around fluctuating prices for dairy farmers but according to the Food Standards Agency, there's still a health risk when drinking unpasteurised milk. Elliot Gardner finds out more about raw milk and whether its safe to sell. The current information from the Food Standards Agency (FSA) still advises against drinking unpasteurised product. Image: Pixabay. The proportion of the population consuming raw milk has risen from three to ten percent of the population over the last five years. Image: Pxhere. Sales of raw milk in the UK are on the rise, with many dairy farmers turning to direct-to-consumer sales to overcome rough deals from supermarkets that have meant that the production and sale of milk is quickly becoming an unsustainable business. 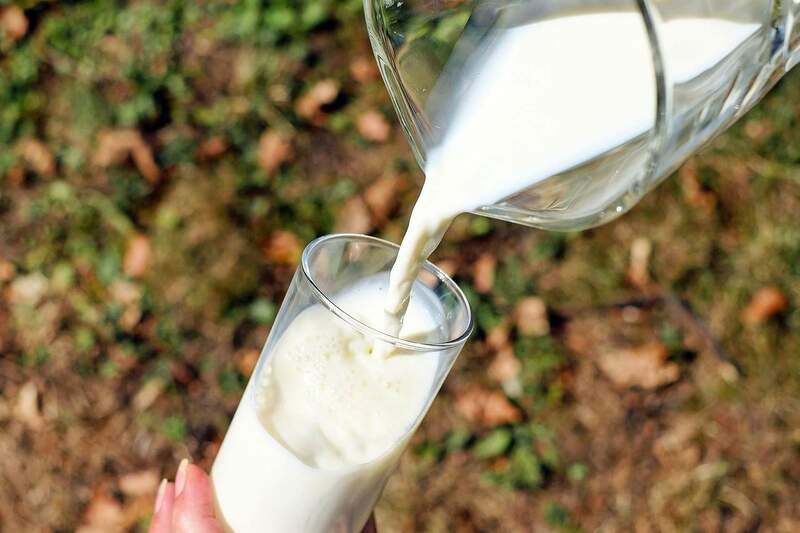 While some health gurus and dietitians have been touting the supposed benefits of raw milk, the current information from the Food Standards Agency (FSA) still advises against drinking unpasteurised product, calling it is a risky practice, potentially leading to severe food poisoning. According to FSA figures, the proportion of the population consuming raw milk has risen from three to ten percent of the population over the last five years. Raw milk – or milk that hasn’t been pasteurised – can only be sold direct to consumer by milk production facilities that are registered with the FSA, and even then, only at the farm gate, in a farming catering operation, or at a farmers market outlet. “Farmers should be paid a fair price for the food they produce, says a Soil Association spokesperson who wished to remain unnamed. Many farmers are turning to the sale of raw milk to subsidise the increasingly low profit margins earned from the sale of their milk through supermarkets. “Selling milk locally and directly to consumers can benefit farmers by removing the middle-man, thereby increasing profitability and alleviating price volatility. This is not a solution that will work for all farmers, and it is not a golden bullet, but we are seeing a number of dairy farmers investing in micro dairies and vending machines for farm gate sales,” continued the spokesperson. According to the National Farmers Union, there are large fluctuations in the price farmers receive for milk, with the average price dropping from 33 pence per litre (ppl) in 2013, to just 19ppl in 2016, rising up to 28ppl in 2018. Milk vending machines are becoming an increasingly popular method of sale from the farm to the general public, meaning raw milk is now more readily available to consumers than ever before. Their ease makes them popular with farmers because despite the increased margins, manning a shop for the sale of raw milk is still too expensive considering the price of the product. “Milk is a cheap product. A farmer could not justify manning a shop on its own. A vending machine will create the least amount of work for a dairy farmer to sell their milk to a customer,” Crickmore explains. A risk assessment of raw milk is currently underway to determine whether risk factors have developed since their last review in 2015. The sale of raw milk is also banned completely from sale in Scotland. The counter argument though is there is little published evidence to suggest consuming raw milk has any benefit over pasteurised varieties, or at least not enough to outweigh the potential the product has to contain harmful bacteria such as E.coli and campylobacter. For instance, in January 2017 raw milk from a farm in Cumbria was blamed for causing 65 people to fall ill from Campylobacter-related illness. Dairy UK, the trade association for the British dairy supply chain, takes the opposite stance: “The British dairy industry is proud of its high standards of food safety. 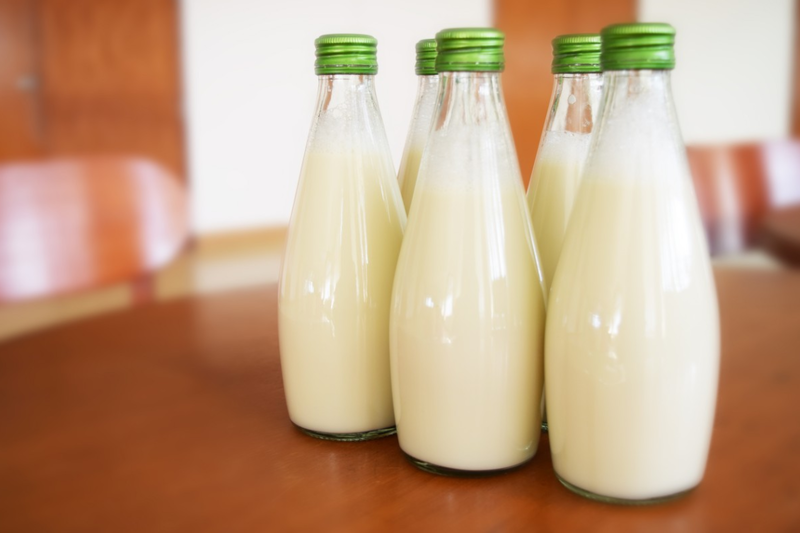 In order to maintain these standards and reassure the public that consumption of milk is safe and healthy, pasteurisation of all drinking milk remains essential,” states a Dairy UK spokesperson who also wished to remain unnamed.